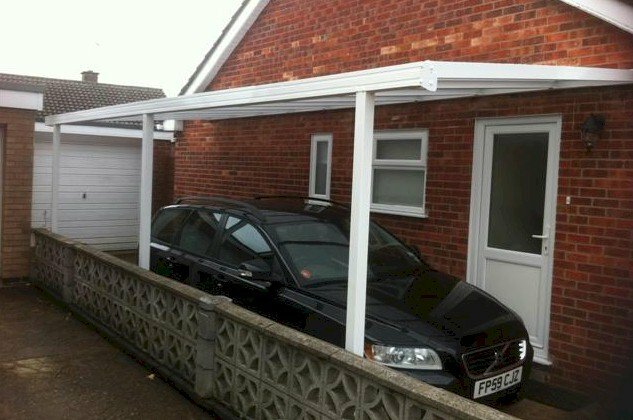 Carports a brand new aluminium design for the domestic canopy. Made of maintenance-free aluminium powder coated finish. Adaptable for many roof designs and shapes and the strongest canopy system on the market capable of spanning over 4m without further structural supports. Applications include carports, covered seating areas, covered play areas, porches, patio canopy, caravan covers, cycle/smoking shelters. Bespoke size options are available. Attention! This is a made to measure product and it is non-refundable from the point of confirmation. A high performance canopy system Applications include: car ports, covered seating areas, covered play areas, porches, patio canopy, caravan cover, cycle/smoking shelters More Projections Av..